Address: 164610 Arkhangelskaya obl., Pinezhsky r-n, pos. Pinega, Pervomayskaya st., 123 "a"
Zapovednik Pinezhsky in Arkhangelsk Region was established in 1974. Its area is 51,5 thousand ha. 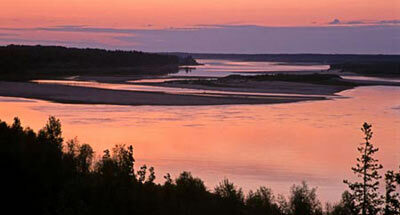 The Zapovednik is situated in the middle reaches of the Pinega River, tributary of Northern Dvina. The relief is mostly formed by flat swampy watershed valleys, an upland plateau and a karst plain with diverse karst elements (lakes, caves, funnels, gypsum towers). Some unique soils occur — coarse humus, underdeveloped, spruce-pine-larch forests with shrub-green moss and forb soil cover. In the plant cover Northern taiga forests of Eastern European valley are presented (forests occupy 91% of the territory). Primary forest massifs account 25% of the woodland. Spruce forests of Siberian spruce prevail. 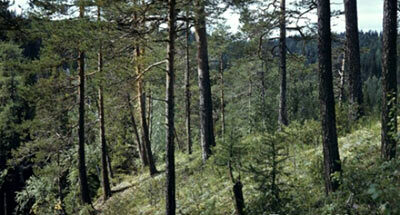 Pine forests, larch forests and birch forests are less abundant. A larch shipbuilding timber forest known since Peter the Great times has remained. The flora comprises 480 species of vascular plants, including numerous endemic, relict and rare species (Conioselinum tataricum, Paeonia anomala). The mammal dwellers are: the moose, brown bear, lynx, squirrel, chipmunk, blue hare, lynx, wolverine, ermine, common marten, otter. The birds (126 species) the following species are common: mallard duck, goldeneye, willow grouse, black grouse, capercaillie, hazel grouse. A rare bird is the osprey. As a result of modification by man, the southern part of the Reserve has been penetrated by more southern species, including the ringdove, woodcock, magpie. 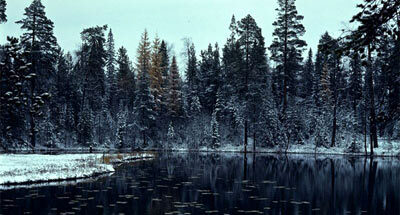 The Sotka River is home to the grayling, whitefish, salmon.